A leaky metal roof at the U.S. Naval Academy’s MacDonough Hall, one of the original buildings on the Naval Academy’s campus, needed a new roof, and the academy saw this as an opportunity to improve the building’s energy performance and maximize daylighting in the process, bringing healthy, natural daylight to the dreary interior. 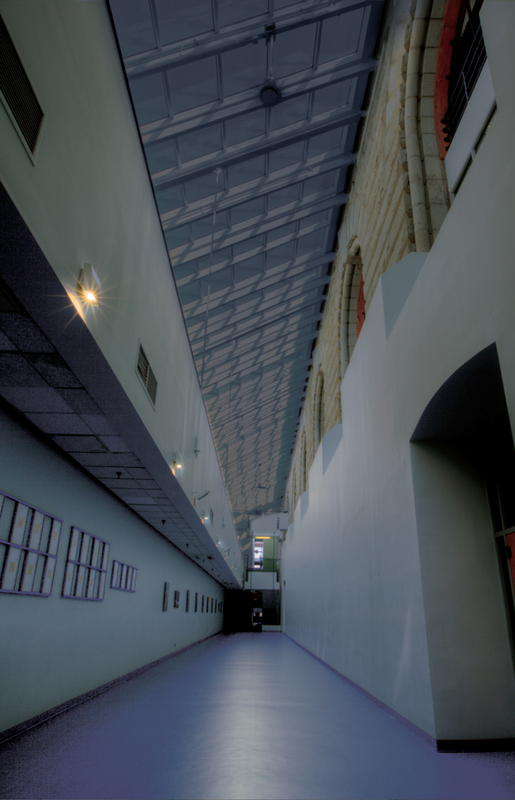 External solar shades were ruled out because of the Hall’s historic architectural significance. Mechanized internal shades or blinds also did not make sense due to the roof’s hard-to-reach location and the fact that they would negate the purpose of the glass roof. “The challenge was, if we made an all-glass roof, how would we avoid ‘poaching’ the people inside of the building, so to speak. The space is already hot and humid, so controlling soar heat gain was a major concern” said Tony Freitag, Navy architect. The project area originally had a standing seam metal roof over the corridor, with some acrylic barrel vault skylights spaced out on the roof. The metal roof was mounted on plywood decking, attached to steel purlins, with a decorative metal ceiling on the underside. All of this had to be removed before the skylight could be installed. 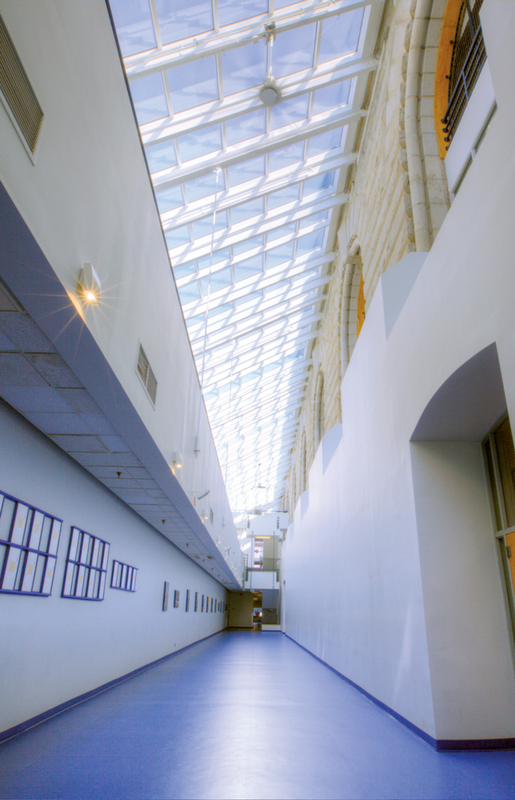 Although the demolition work was not part of Wasco’s project scope, Wasco’s installation team needed to coordinate with Allen & Shariff Engineering and Construction to install sections of the skylight as the demolition progressed along the corridor. It was required to keep the interior space dry during the renovation project, so Wasco’s installation team followed the demolition subcontractor closely, covering the junction of the new skylight and old roof areas with tarps each day. 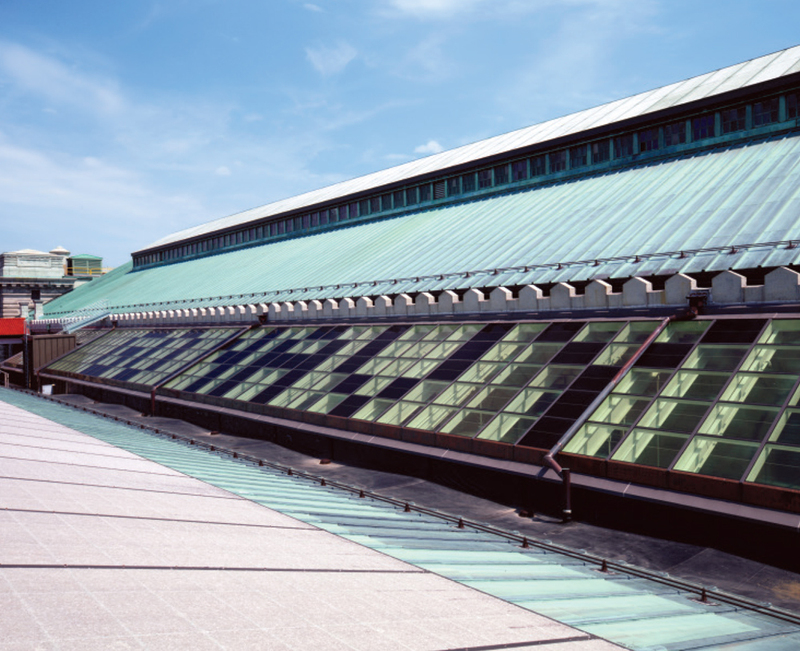 Freitag and his team ran some initial building energy calculations based on using electrochromic glass and discovered it would reduce the building’s HVAC cooling requirements by at least 18%. “I took those findings all the way up the chain of command and presented the idea of using dynamic glass. 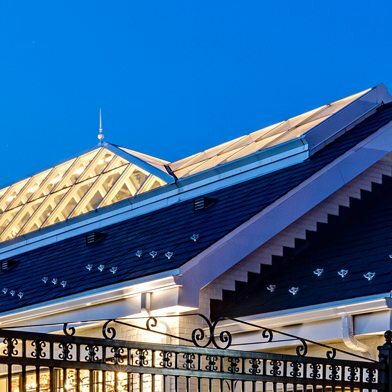 That’s how a simple little project of fixing a leaky roof turned into a sustainable, money-saving, cutting-edge renovation that helps out the whole ecosystem of the building,” said Freitag. 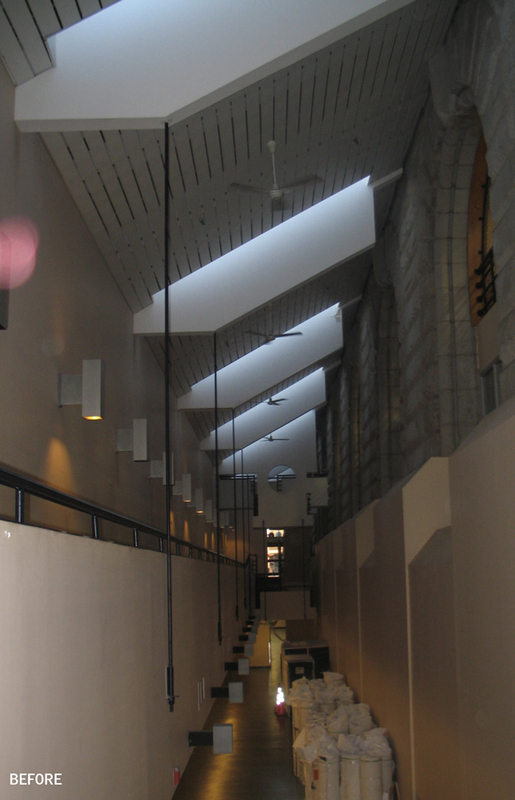 The dreary interior is transformed while dramatically improving the building’s energy performance. The electrochromic glass is specially programed for the Army–Navy game.